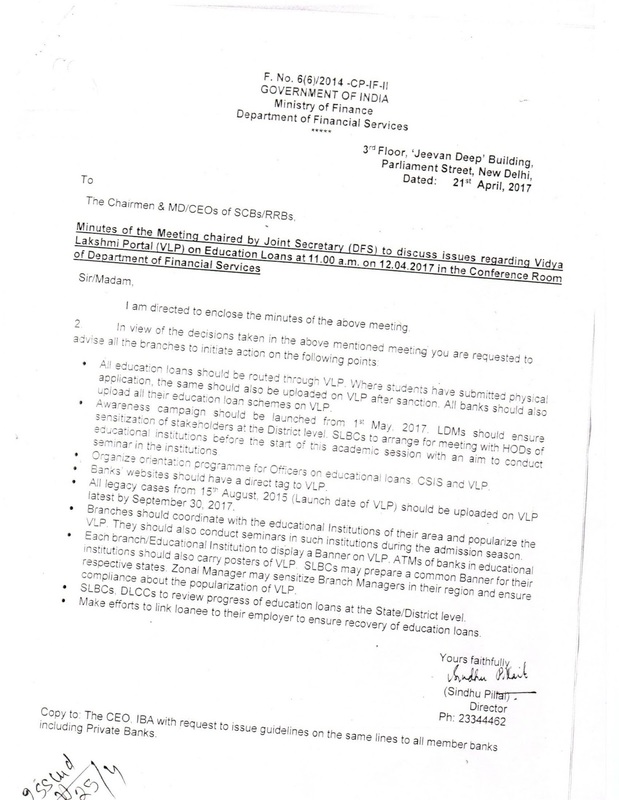 Education Loan Task Force (ELTF) organised an Interactive Session with Shri Arjun Ram Meghwal, Hon'ble Minister of State (Finance & CA) at Chennai on 17th February 2017 and submitted a representation to the Hon'ble Minister on the problems faced by the students and parents, while seeking Education loan from Banks. Subsequently, on 16th March 2017, ELTF made a presentation of all the issues facing students before the Hon'ble Minister and the Senior Bureaucrats of Ministry of Finance and IBA representative at the Chamber of the Minister in North Block, Delhi. Our main complaint was that through Vidyalakshmi Portal was launched in 2015, neither the Banks nor the Ministry took it seriously. The Banks never bothered to process the applications within 15 to 30 days as per IBA norms. The Banks never even bothered to process the applications. 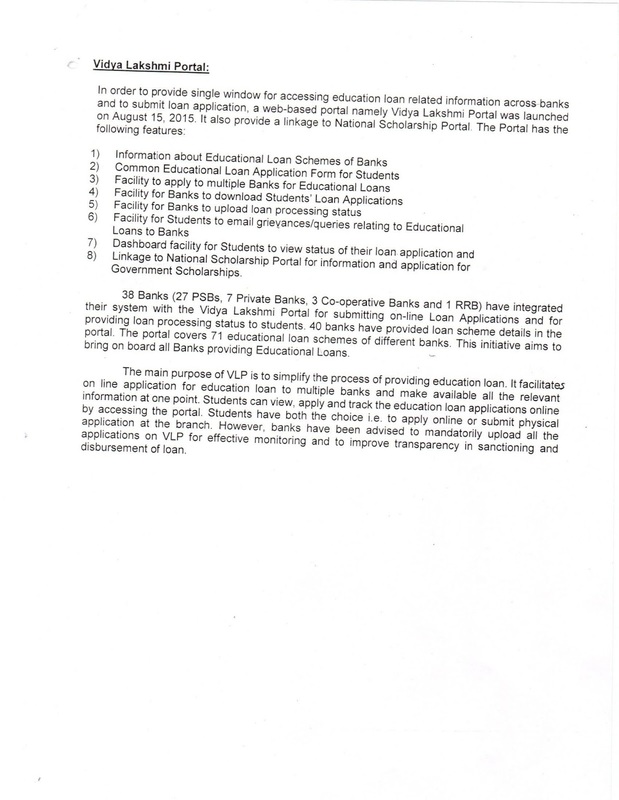 Since Indian Banks Association did not popularise this portal, the students were not even aware of this. In both the meetings, Shri Arjun Ram Meghwal listened to our presentation patiently and immediately advised the bureaucrats to take immediate steps to improve the Education Loan Scheme. The Banks have been advised to upload all the loans sanctioned after 15th August 2015 in this portal before 30th September 2017. 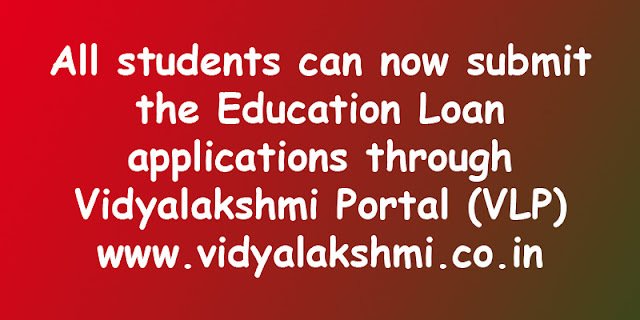 The students and parents who seek Education Loans can now login to the VLP and create an account. They can submit the applications through the Portal. The Banks are required to take decision within 15 to 30 days. 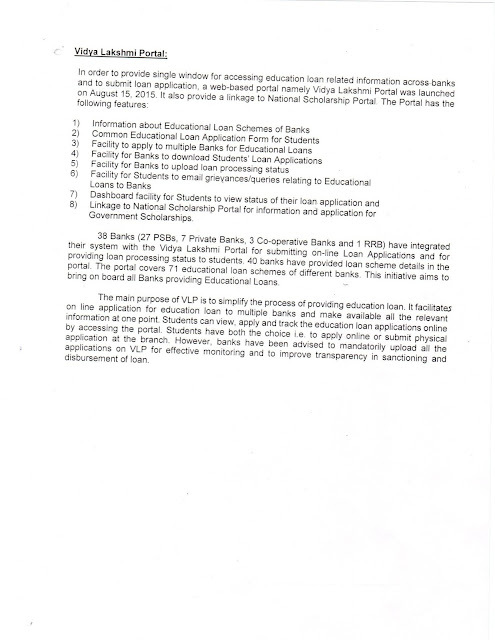 If the Banks delay the process, the students can complain to the Zonal managers of the Bank and also to the CEO/MD of the concerned Bank in writing, under copy to the Branch. The State Level Bankers Committee / District Level Bankers Committee / Banks have been advised to conduct campaign to popularise the portal. In the interest of young students, ELTF requests all readers to share this message with students and parents who seek education loan. ELTF thanks Hon'ble Minister Meghwal ji for his intervention and necessary action. This is the first time a Minister listened to our grievances patiently and tried to find a reasonable solution. The copy of the Notification is given below.